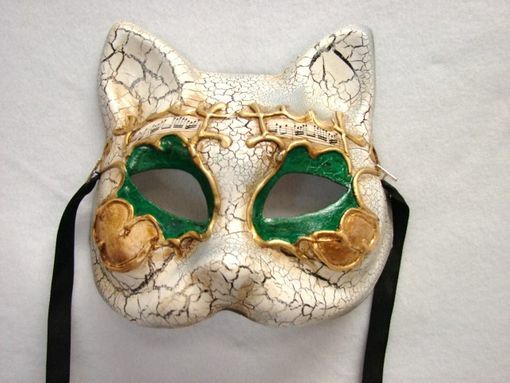 Venetian hand painted paper mache mask with crackle paint process. Great for your next Masquerade or Mardi Gras party. The eyes of the mask are lined with color.